How many bands have to do this sound before it's dead? 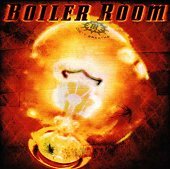 Boiler Room offers nothing new. They scream, they rap, and their bouncy metal beats push the songs along. Just like every other band that sounds like them. Limp Bizkit achieved commercial success, so every band jumps on the bandwagon and damn, we have a trendy sound that is lining the pockets of the music industry with millions on top of millions. That doesn't make it good. And let me tell you, Boiler Room is not even remotely close to sounding 'good'. Bad rap fused with bad metal can only mean one thing, bad, wretched sounds that are as generic as they come, limp, and life-less. Easily forgettable are the two words that come to my mind when I think about it. I'll give it a D-.